Remember that cool Malibu beach access app pioneered by Jenny Price, co-founder of L.A. Urban Rangers and journalist & technologist Ben Adair? Jenny and Ben have graciously offered to meet a group or APA Los Angeles and Westside Urban Forum (WUF) members at Carbon (aka ‘Billionaires’) Beach in Malibu for a discussion about beach access and some fun exercises using the Our Malibu Beaches app. 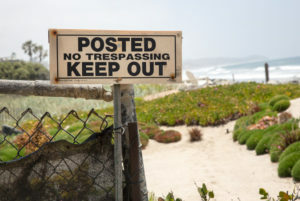 We may even get a guest appearance by Linda Locklin, who heads up public access efforts for the California Coastal Commission – which will be very helpful should we get hassled by security and/or homeowners claiming “private” access to the beach! Sound good? We will confirm location, parking and other information before day of the event.